With wide, dark and haunting eyes, Barbara Steele is known to horror fans worldwide as the “Queen of all Scream Queens.” Having starred in Mario Bava’s highly praised 1960 Italian film, Black Sunday (a.k.a. Mask of Satan), Steele cemented her place in horror movie history by playing the dual role of Princess Asa Vajda — a witch / vampire hybrid — and Katia Vajda, her victim. 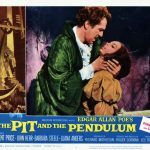 Despite being dubbed in England and America, the movie made Steele an international star, and the film became an almost instant cult classic. In the decades that followed, she would be sought out by the likes of Roger Corman, David Cronenberg, Jonathan Demme — even Ryan Gossling — for her often odd, mercurial presence. Born on December 29, 1937 in Birkenhead, Cheshire, England, Steele studied paiting at both the Chelsea Art School and the Sorbonne; but her first love was acting. Reportedly the last person to be signed as a contract player for the Rank organization, Steele began her film career in the late 1950s, mostly in bit parts in forgettable films. She eventually signed to 20th Century Fox, and spent time in Hollywood. Yet little work came here way. Flaming Star (1960), a western vehicle for Elvis Presley, was her big chance at Hollywood fame; but, reportedly due to her thick British accent, she was replaced by Barbara Eden. Steele claimed she quit the production. Whatever the cause, she left Hollywood in 1960 for Italy. 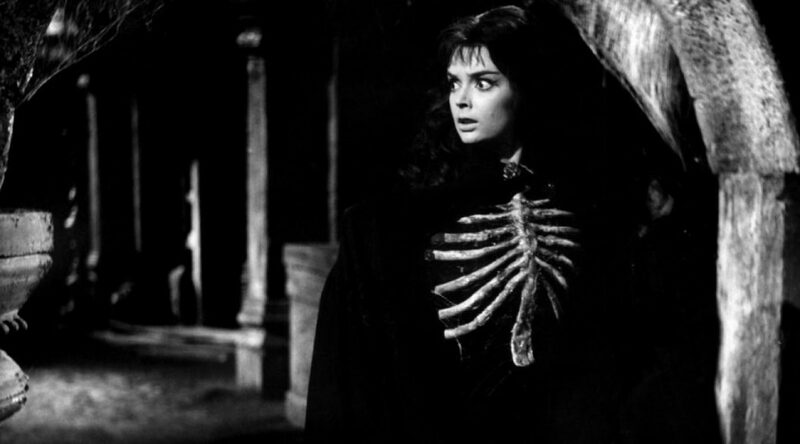 Her first role there was in Mario Bava’s Black Sunday. 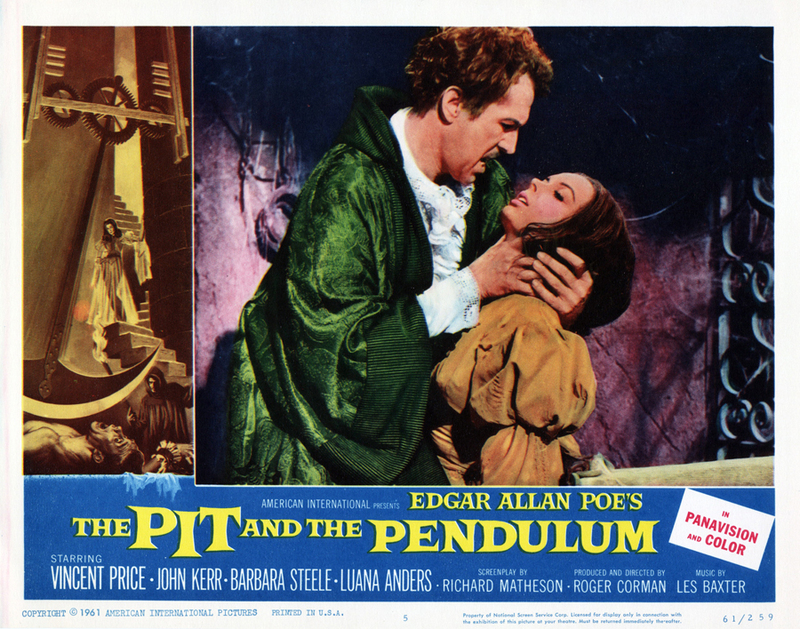 It was Black Sunday that brought her to the attention of Roger Corman, whose Richard Matheson penned mishmash of Poe’s The Pit and the Pendulum (1961) was her very next film. As Vincent Price’s wife Elizabeth, she is a spectral presence — seen mostly in flashback — for much of the movie. But a memorable ending, with Steele’s piercing eyes peering from behind the small slit of an Iron Maiden, was enough to further build her reputation in genre pictures. Once again, her mere presence in even a small scene demanded attention, though Corman — believing her working-class English accent too big a distraction — had her voice later, ironically (as it was an American production), dubbed. Moving on to the truly terrible Italian film The Horrible Doctor Hitchcock (1962) and a small but critically noted part in Fellini’s 8½ (1963), Steele was underused. 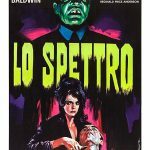 Many Italian films followed, including more forgettable horror films (The Ghost, and Long Hair of Death), then an odd turn as a suspicious wife in a short vignette that was part of 1964’s I Maniaci. Her presence, once again, sets her apart from other actresses in the film — perhaps the very reason why her image was placed squarely on the movie’s somewhat salacious poster where men stare at her (a feminist field day for those who study the male gaze). Again, as before, Italian horror films followed, including the more notable Castle of Blood (1964), and Nightmare Castle (1965). 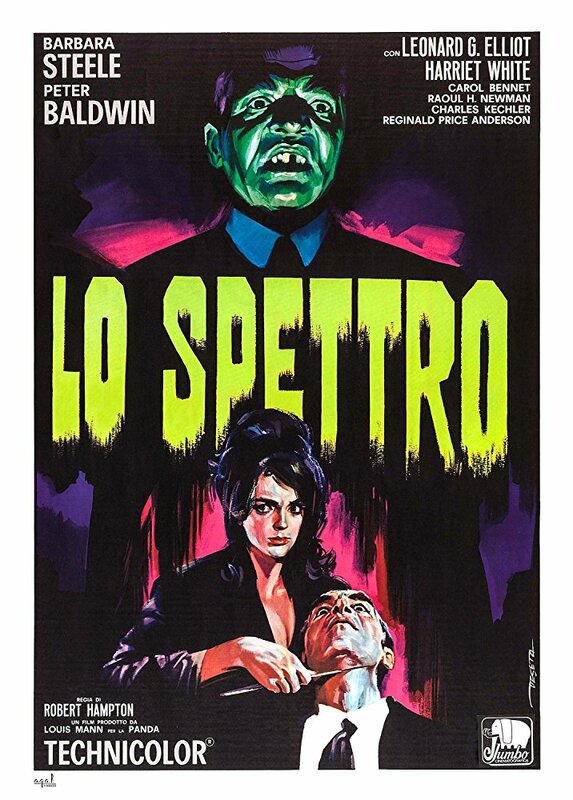 In 1966, she would make her last “Italian Gothic” film: An Angel for Satan —though the Italian-British production of The She Beast (directed by Michael Reeves) could also, technically, have that distinction. Shot in only 21 days, She Beast saw Steele paid just $1,000 for a single day’s work. Work followed in the 1970s in the form of exploitation (in Jonathan Demme’s 1974 directorial debut: Caged Heat) and b-grade horror — including David Cronenberg’s Shivers (1975) and Joe Dante’s Piranha (1978). She would close out the seventies with a starring role as a psychotic killer in one of the first “slasher” flics ever made: 1979’s The Silent Scream. She would retire from the screen for the entirety of the 1980s, and the 90s, with the exception of a role in Dan Curtis’ early nineties remake of Dark Shadows for television. It wasn’t until the 21st century that her career would be revived in two of her most well-reviewed roles: 2012’s The Butterfly Room, an American-Italian thriller, and 2014’s bizarre fantasy noir Lost River, as a Miss-Havesham-esque grandmother in Ryan Gossling’s directorial debut. Indeed, it is her visage — her eyes, her expression, and a glance that could be both inviting and dismissive— that has defined her career. Early on, she was never much given the opportunity to speak. But those eyes. Those eyes told stories. Though she would never become a household name outside of genre films, her fans are obsessive. 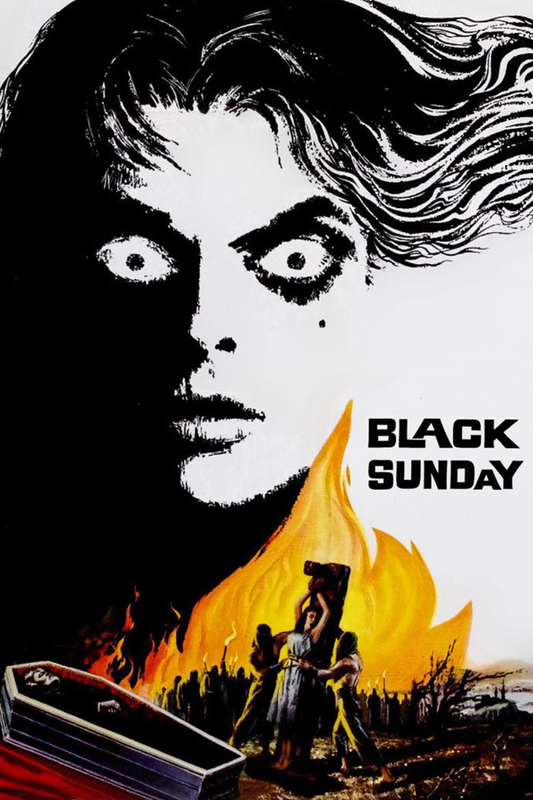 Black Sunday posters like the one at the beginning of this article still sell well to this day. And up until just a few years ago, she attended conventions, drawing large crowds of autograph hounds. 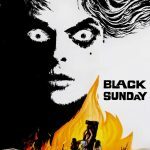 If she had begun and stopped with Black Sunday alone, her place in horror movie history would have been secured. But her vast body of work over several decades has earned her the right to be called not only a scream queen, but their Queen. Is it any wonder then that so many directors of horror films over the last fifty years have sought her out. Horror is unsettling when it challenges our preconceptions of what it is to be a monster. What it is to be the victim. Indeed, what it is to be human — or not quite, as the case may be.